Recommended by James Schall in Another Sort of Learning, Chapter 3, as one of Six Books on Learning and Teaching. 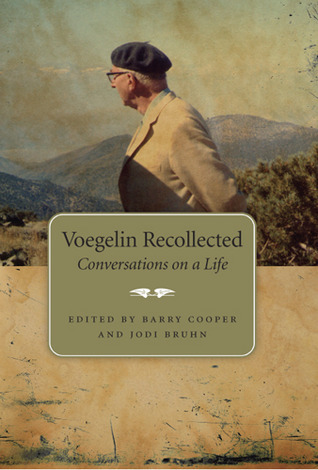 (He actually recommended "Conversations with Eric Voegelin". )Recommended by James Schall in Another Sort of Learning, Intro to Part Three, as one of Schall's Unlikely List of Books to Keep Sane By---Selected for Those to Whom Making Sense Is a Prior Consideration, but a Minority Opinion. Barry Cooper - Librarian Note: There is more than one author in the Goodreads database with this name.